Norton legislator Mr Temba Mliswa says he still loves his former party Zanu-PF and will return to the revolutionary organisation if such an opportunity arises. In an interview with The Herald, Mr Mliswa said he decided to leave Zanu-PF because it was straying from its founding principles after being hijacked by anti-progressive elements who were destroying the party. “Zanu-PF resolved that those that were expelled must come back, but when you’re fired you wait for a reinstatement letter. So I’m waiting for my letter from Zanu-PF to be reinstated whether in my position as provincial chairman, central committee or an ordinary member, then I’ll respond accordingly and favourably so,” said Mr Mliswa. He said he had no problem with rejoining Zanu-PF, but would wait for the opportune time to do so. “I have absolutely no problem with going back to Zanu-PF, but what you must understand is that I must be true and I don’t want to lie to people. I represent the people of Norton and I must finish my term. I cannot join Zanu-PF before my term ends. 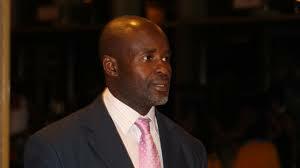 But in the coming elections, I can stand as a Zanu-PF candidate because that would be a new term,” said Mr Mliswa. He went on to cite the President and First Secretary of Zanu-PF Cde Emmerson Mnangagwa’s vision for the party and nation as one of the main reasons why he is willing to return to the ruling party. Said Mr Mliswa: “Being a progressive Zimbabwean, I want to support a progressive President and the President is very progressive. Moyo, who were destroying the party. “Now that the party is reforming, it’s better to be part of the reformed Zanu-PF with a new leader than me joining a party I’ve never known and that I don’t belong to in terms of its ideology,” said Mr Mliswa. Mr Mliswa was booted out of Zanu-PF in 2014 on allegations of disrespecting the party leadership.